Land-based ontractors reacted with a certain disappointment to the publication of the Communication on the future of the CAP. Admittedly, good intentions are on the horizon, but the Commission is missing out on a chance to propose a real reform that would put the sector in a position to respond to the current economic, societal, environmental and technological challenges and to the ones that will appear within the next 10 years. 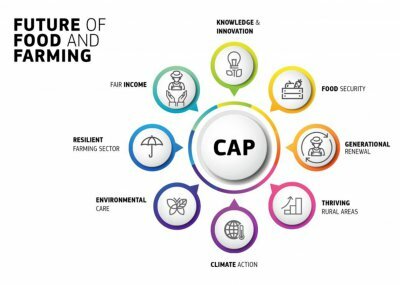 On the basis of a stakeholders' consultation, which land-based contractors have positively contributed to, the Commission has published on 29 November a roadmap for future developments in the Common Agricultural Policy. Klaus PENTZLIN, President of CEETTAR, said "the Commission is maintaining a strong agricultural policy and it is a good news. The Communication is, however, disappointing as the simplification effort seems to be the Commission's first priority. It is off the mark!" In its Communication, however, the Commission proposes some interesting ideas. The promotion of smart farming, for example, which success relies on the level of support to agricultural contractors who make the latest technology available to all farmers. The commitment to implement the Cork 2.0 Declaration is also welcome, although the Commission needs to strengthen its measures for rural development. We must not limit ourselves to smart villages lost in deserts but aim for progress throughout the territory. Moreover, an ambitious policy for the European Union is based firstly on common legislation on the continent; in fact, subsidiarity must be taken with care. Better consideration of the forest's potential for the environment and the rural economy in the CAP. "This Communication is interesting but where is the vision?” concluded Klaus Pentzlin.